Determined to turn her lifelong passion for helping others into a fruitful career, Marianne Saunorus Baird has dedicated more than four decades to advancing the field of health care. She is currently the corporate director of the Magnet Recognition Program at Emory Health Care, where she has been since 2016. In her position, she is responsible for the “ongoing development of an evidence-based, goal-oriented, interdisciplinary culture of excellence, using the tenets of the ANCC Magnet Recognition program as a guide, for all hospitals within the Emory Healthcare System.” The job fits perfectly with Ms. Baird’s expertise, which has come to lie in outcomes management, transformational leadership, professional and organizational development, and clinical and critical nursing. She is thrilled to be actively fulfilling her goals. Ms. Baird prepared for her endeavors by earning a Bachelor of Science in nursing from Loyola University in Chicago in 1975 and a Master of Science in nursing from Emory University from Emory University in 1982, as well as becoming a certified clinical nurse specialist in adult health and a certified ACLS instructor in the state of Georgia. She also garnered experience from previous roles, which include supervisor of surgical nursing at Rush University Medical Center in Chicago and clinical associate faculty at Emory University in Atlanta. Additionally, Ms. Baird transitioned between numerous positions at St. Joseph’s Hospital in Atlanta, such as director of the medical surgical unit, case manager in the pulmonary and nephrology departments, and clinical nurse specialist in critical care and nursing. To ensure that her knowledge remained up to date, she maintained involvement with prominent professional organizations like the American Association of Critical Care Nurses, the Society of Critical Care Medicine, the American Nurses Association, and the American Organization of Nurse Executives, among others. With such a well-rounded background, Ms. Baird thought it was only natural to find ways help the younger generations develop in the field. 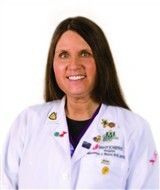 She authored several nursing textbooks, contributed to a variety of professional journals, and served as the editor of the 7th edition of the “Manual of Critical Care.” She was also a member of the medical supply committee for the Atlanta Committee for Olympic Games from 1994 to 1996, and RN preceptor and member of the educational staff at Genentech, Inc., from 1995 to 2002, and the vice-chairperson of the Georgia Hospital Association Diabetes Special Interest Group from 2003 to 2010. Ms. Baird’s hard work and dedication have not gone unnoticed. She was featured in numerous volumes of Who’s Who in America, Who’s Who in the World, and Who’s Who of American Women, as well as one edition each of Who’s Who in American Nursing, Who’s Who in Medicine and Healthcare, and Who’s Who in the South and Southwest. Further, she was the recipient of a federal traineeship at Emory University from 1980 to 1981, and was named an Outstanding Young Woman in America in 1991.